This 34mm. 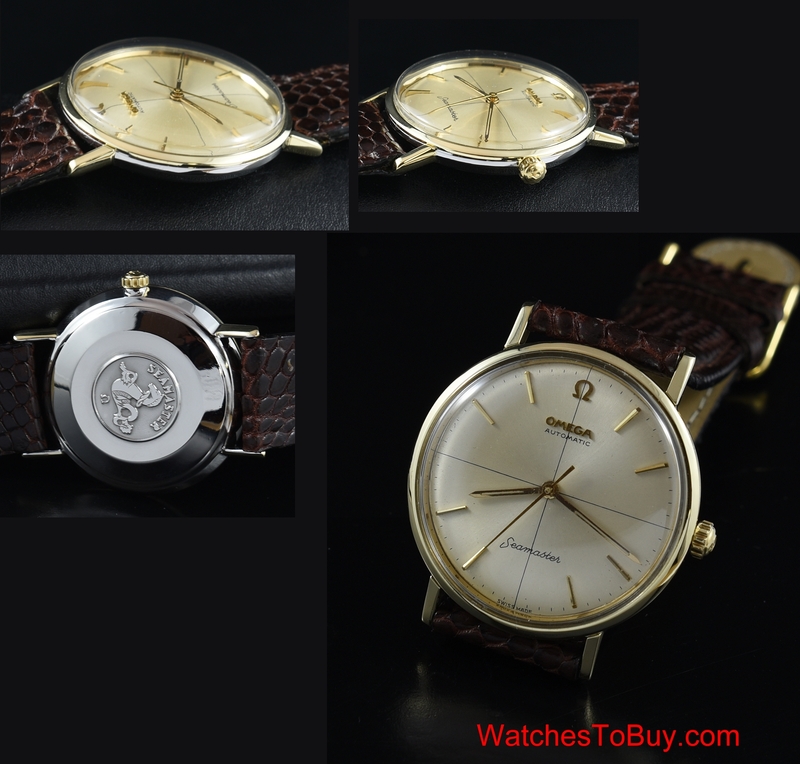 1960’s OMEGA SEAMASTER gold capped case with steel sea monster back and original OMEGA crystal is EXTREMELY clean overall. The fine quadrant dial-crystal, hands and crown are all original. 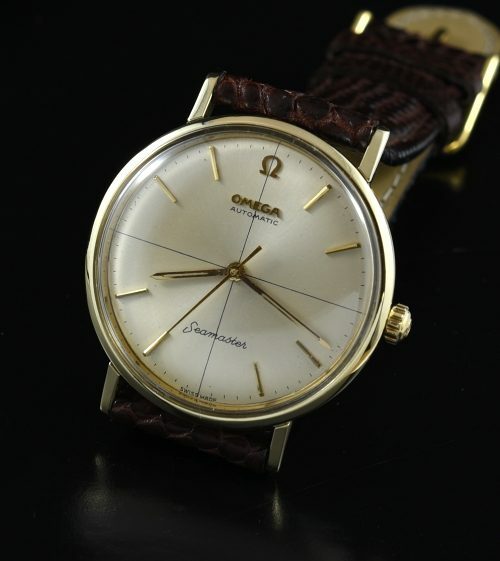 The OMEGA automatic winding movement was just cleaned and is accurate.